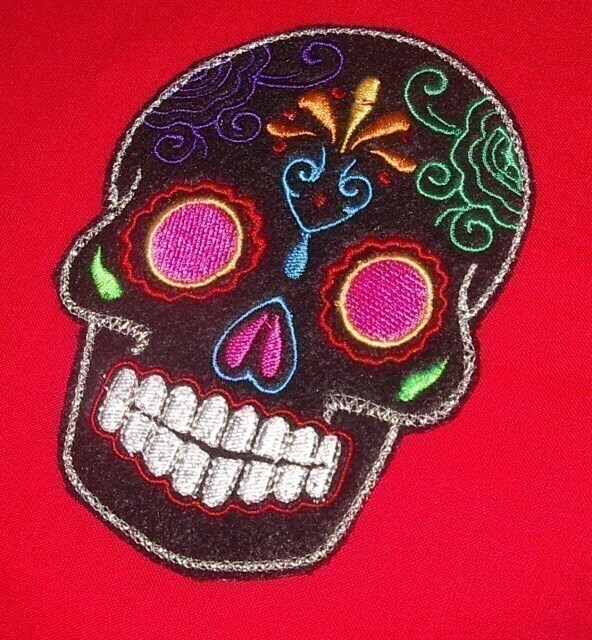 Embroidered Day of the Dead skull patch. 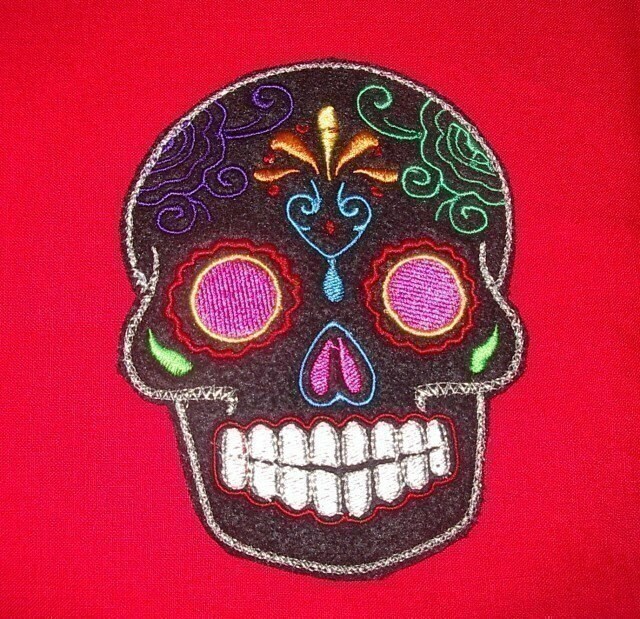 Your patch will be embroidered with multi colors, on black felt. These are perfect for my project and very easy to apply. Fast, friendly service as always.